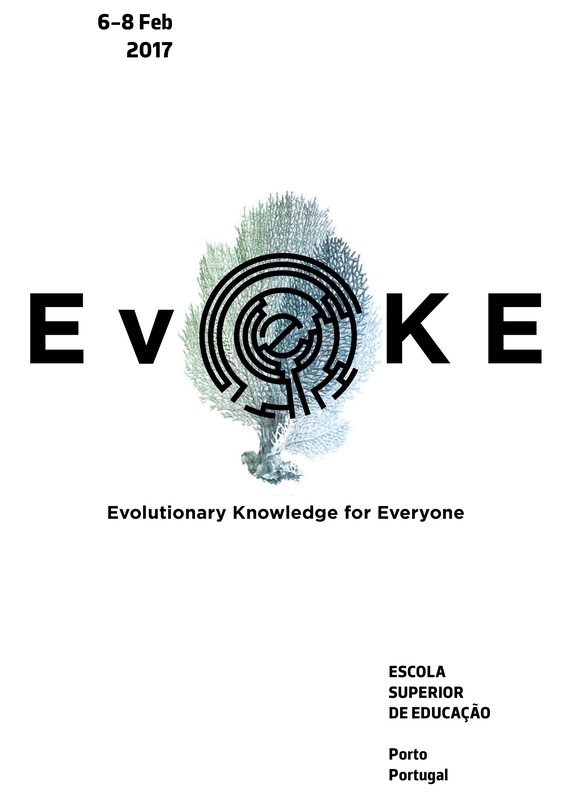 We at EvoKE (Evolutionary Knowledge for Everyone seek to contribute to a world where people understand evolution and can use scientific knowledge and skills to make informed decisions that address societal problems thereby contributing to an inclusive, sustainable and resilient future. EvoKE is a diverse, open community that was seeded at the EvoKE 2017 meeting that took place in Porto, Portugal. The meeting brought together a selection of almost 100 people from 15 different countries, each with diverse stakes in evolution education and outreach (e.g., researchers in biology and education, science journalists and communicators, artists, and teachers), and had its content was streamed live over the internet for those who could not attend in person. Everyone with an interest in this subject is welcome to join. Want to become involved and join the growing EvoKE community? Sign up to our listserv and/or help out with one of our ongoing projects on the work platform Ryver.